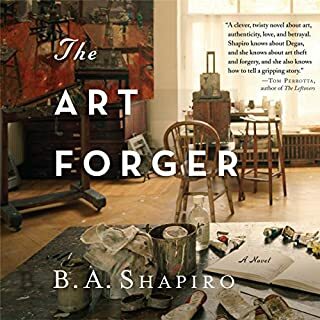 Making a living reproducing famous artworks for a popular online retailer and desperate to improve her situation, Claire is lured into a Faustian bargain with Aiden Markel, a powerful gallery owner. She agrees to forge a painting - a Degas masterpiece stolen from the Gardner Museum - in exchange for a one-woman show in his renowned gallery. But when that very same long-missing Degas painting is delivered to Claire's studio, she begins to suspect that it may itself be a forgery. Her desperate search for the truth leads Claire into a labyrinth of deceit where secrets hidden since the late 19th century may be the only evidence that can now save her life. Maybe this genre just isn't for me, but I tried. After the first three hours, I still had to make myself listen. Couldn't get in to the character or plot direction. Would you listen to Objects of My Affection again? Why? Not on the top of my list for a re-listen, but enjoyed it for the time we spent together. Light and easy story with enough going on to stay interested, yet not too heavy to weigh down the listener. Trying to give young another chance after just finishing another one of her novels. 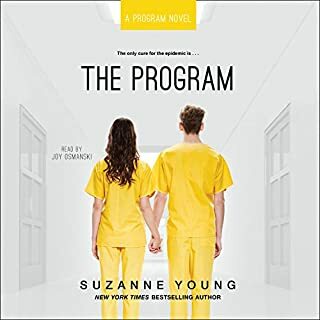 Unfortunately, The program is just a few never ending plot circles that never get resolved. As soon as it starts to really get interesting, it's over! The synopses tells a better version of the story than the full work. Was really hoping for more! I was hoping this book would stretch the imagination a bit more than it did. Unfortunately, it was very predictable. I was hoping for so much more with this type of premise. Bummed. Teri and Phil had never needed their own personal god. But when Phil is passed up for a promotion - again - it's time to take matters into their own hands. And look online. Choosing a god isn't as simple as you would think. There are too many choices; and they often have very hefty prices for their eternal devotion: blood, money, sacrifices, and vows of chastity. But then they find Luka, raccoon god of prosperity. All he wants is a small cut of their good fortune. Oh - and to crash on their couch for a few days. 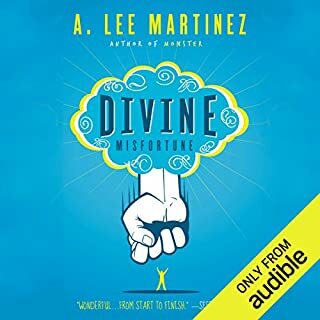 Would you consider the audio edition of Divine Misfortune to be better than the print version? I have not read the print version, but I had fun listening to this and would recommend it to many people I know. What was one of the most memorable moments of Divine Misfortune? Lucky had a lot of nuance that made me laugh out loud at times, but I would have to say their interrupting a dream was fun to imagine. Yes! Once I started, it was a hard novel to pause. Would you try another book from Tom Rachman and/or Penelope Rawlins? 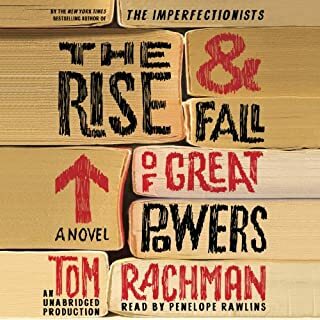 I would not try another book by Tom Rachman, but I would be open to hearing Penelope Rawlins reading a different novel. What was most disappointing about Tom Rachman’s story? By half way through I still wasn't interested in the main character. It jumped around too much between locale and past/present. 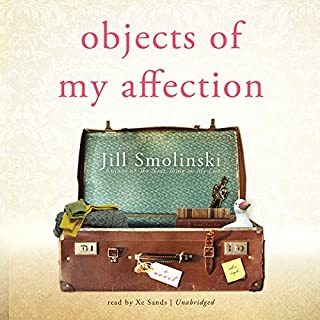 By the time I had figured out how some of the characters connected, the book skipped to a different time/place in her history and I had to re-establish myself within the story. Maybe this would be a better novel to read than to listen to. I was unable to stay interested in the story because it took so much of my focus to follow. There are books you can't put down or can't stop listening to - sneaking in a few minutes where ever you can. And then there is this novel... I had to talk myself in to listening for the few hours I made it through. 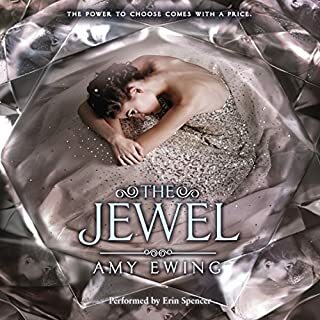 Would you try another book from Amy Ewing and/or Erin Spencer? I just don't think so. Unfortunately, I convinced myself I could get into the story line below the terrible "love" story, but in the end the author just didn't want to let that happen. "You've long set your heart against it, Axl, I know. But it's time now to think on it anew. There's a journey we must go on, and no more delay..." The Buried Giant begins as a couple set off across a troubled land of mist and rain in the hope of finding a son they have not seen in years. Sometimes savage, often intensely moving, Kazuo Ishiguro's first novel in nearly a decade is about lost memories, love, revenge, and war. 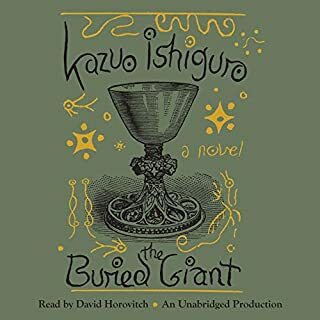 Would you try another book from Kazuo Ishiguro and/or David Horovitch? Probably not from Ishiguro, but Horovitch was fantastic! I found this book to be very confusing. 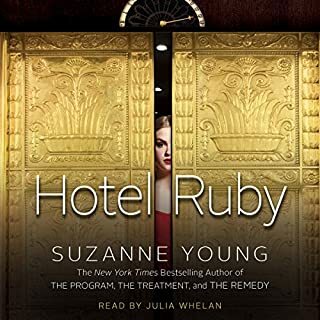 There were multiple storylines traveling within each other and as an audio book I never really felt rooted in the novel. I can't really tell you anything about it but that I enjoyed Horovitch's voice.... still not sure what really happened in the 11 hours I just heard. Yes! Everyone was recommending this to me, but I was slow to check it out. Don't make the same mistake! It's a great listen and amazingly satisfying story. 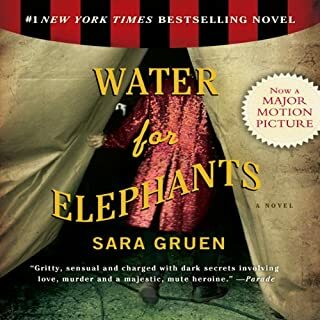 What was one of the most memorable moments of Water for Elephants? The conclusion was very well built up and laid out. Mary Lennox, a sickly and contrary little girl, is orphaned to dim prospects in a gloomy English manor - her only friend is a bed-ridden boy named Colin whose prospects may be dimmer than hers. But when Mary finds the key to a Secret Garden, the magical powers of transformation fall within her reach. 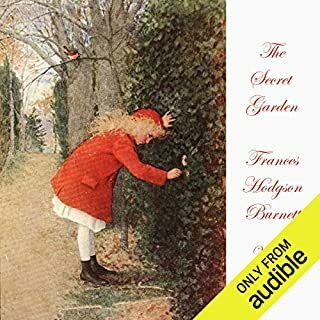 A beloved classic of children's literature The Secret Garden tells an inspirational tale of transformation and empowerment. I've read The Secret Garden before but wanted to enjoy it again on a road trip. The narrator was so challenging I had to turn it off.